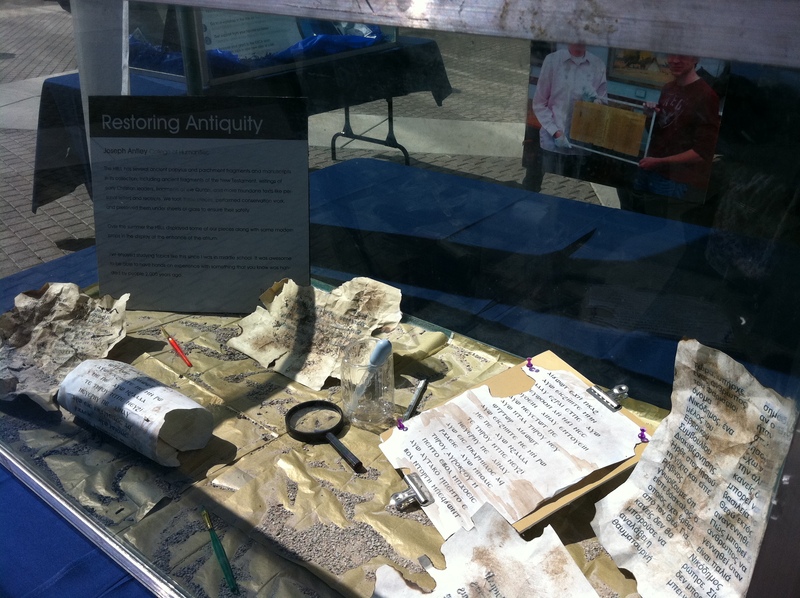 Below’s a photo of a display of my summer papyrology project that was/is shown on campus this week in front of the JFSB. I cut off most of the photo of me in the top. The purpose of the display was to advertise the ORCA grant program, which I was awarded last year for my project. Anyway, I thought the display they made was sort of cool.